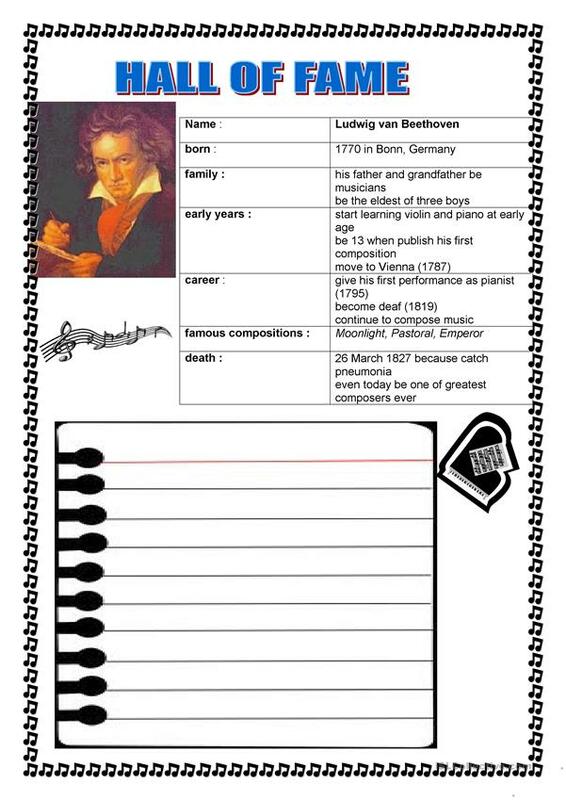 Students use the cues given about Beethoven to write his short biography using Simple Past. The present printable, downloadable handout was created for elementary school students at Pre-intermediate (A2) level. It is aimed at revising Past simple tense in English, and is a valuable material for enhancing your learners' Writing skills. katekaissi is from/lives in Greece and has been a member of iSLCollective since 2012-11-11 10:16:07. katekaissi last logged in on 2019-04-15 08:01:55, and has shared 4 resources on iSLCollective so far.